Good Lord! That's got to be a lot noisy! We lived in the flight path of planes taking off and landing in Ft. Lauderdale. Sometimes during the day we could not sit out on our lanai...the noise was deafening! Some of those look too darned close! 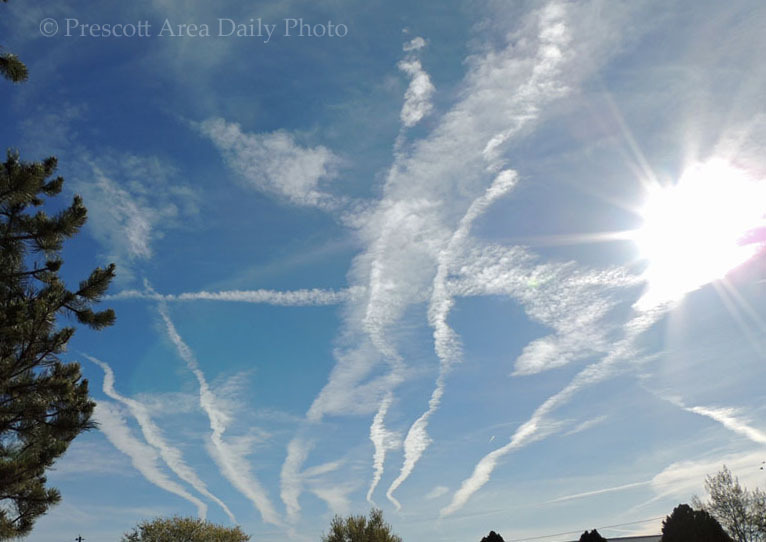 It does make for some interesting patterns in the sky, doesn't it? In 2013 we lived in a home at approximately 24th Street and Baseline. I think we were about 10 minutes from Sky Harbor and occasionally heard the planes but it wasn't bad at all. That's a lot of sky traffic.